Getting customers to sign up for texts is easy. Everyone will sign up with the promise of a deal, but if you stop there that will be the end. A successful mobile marketing campaign will offer up real money saving deals consistently. They do not have to be predictable, such as every Tuesday or once a month, but they must come and come often. When they do come, they should make customers glad they signed up. A random text that Uncle Joe's corn chip pies are hot and waiting for them after the game is fine occasionally, but what really spreads the mobile fire is the announcement that those same pies are buy one get one free for those that mention the text. 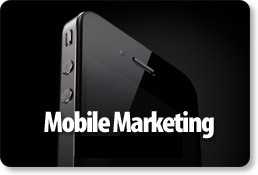 Mobile marketing is actually a very green form of marketing. Allowing customers to access sales information via a mobile device will reduce the number of sales flyers need to be printed. Also, if you offer your customers the option to have coupons scanned directly from their mobile phone, they do not have to print or clip paper coupons, saving tons of paper per year. While it is a lesser thought of advantage, the fact that this type of marketing is very earth friendly cannot be ignored in today's world. With all of the available mobile marketing options, it really is a marketing crime not to put mobile technology to good use in advertising and drawing business to your company. 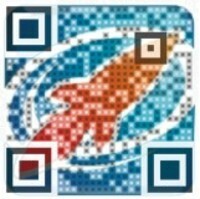 At Rocket Social Marketing we can organize and execute a flawless text or other mobile advertising campaign that meets all the criteria to make is successful. Your mobile customers will know that they are being rewarded for their loyalty, and they can rest easy knowing they are doing something great for the earth too. There is no need to stress over how to get started, as we handle it all for you from start to finish.